Karen Kensek | I.K International Publishing House Pvt. Ltd.
KAREN M. KENSEK and DOUGLAS E. NOBLE teach at the University of Southern California, School of Architecture. 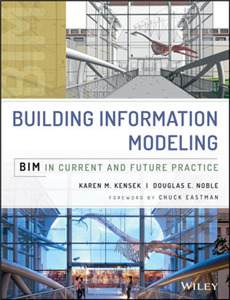 Prof. Kensek has received national BIM honors from the AIA TAP committee and Autodesk, hosts an annual conference on Building Information Modeling, and received the 2014 ACSA Award for Creativity with Prof. Noble. They are both past presidents of Association for Computer Aided Design In Architecture (ACADIA) and are active in the American Institute of Architects (AIA).